Special print finishes are not usually front of mind when you tuck into your Christmas fayre but as I was making my way through the last of the mince pies I noticed the foil block printing on the packaging. 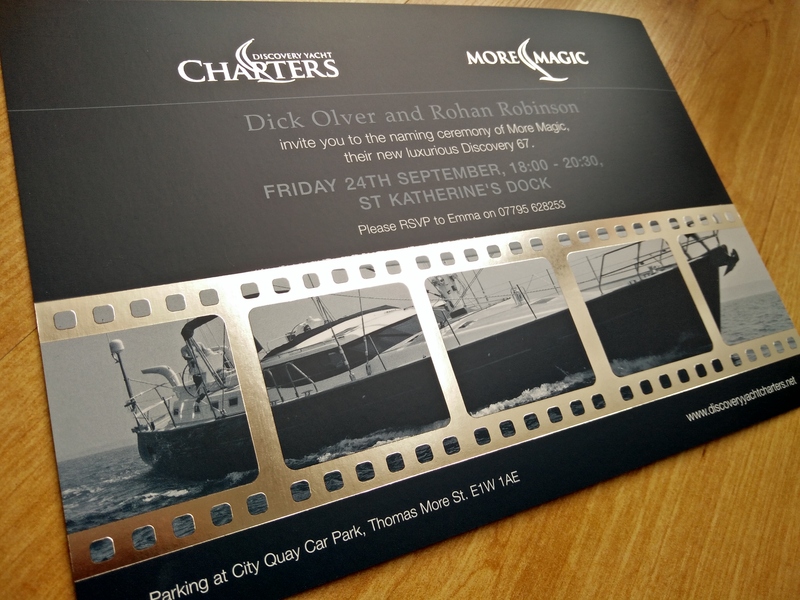 It reminded me of an invitation we produced for a Mondo client…and proves that adding a smart finish to a printed item can work wonders – whether it’s a luxury mince pie or a luxury yacht! If you’re in need of printed marketing materials get in touch with Mondo for a full design and print production service. You can see more examples of our design and print work in our portfolio here.